The old Hollywood Pacific Theatre on Hollywood Blvd. 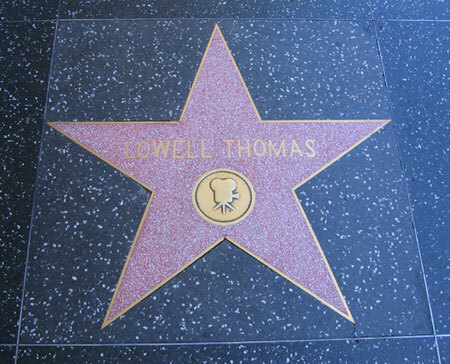 has seen a lot of technical film innovation since it opened in 1926. It was the first “talkie” theater in Hollywood when “The Jazz Singer” opened in the city. In the 1950s, it was the first Cinerama theater in Los Angeles. And years after being closed down and left for dead, a group of future-thinking individuals began using it as laboratory for digital cinema. The Hollywood Pacific is now known as the Entertainment Technology Center run by the University Of Southern California. On a recent Saturday in May, members of the Large Format Cinema Association (LFCA), Digital Cinema Initiatives (DCI) and the American Society Of Cinematographers (ASC) gathered here to witness digital and film tests on the large 50-foot screen. The symposium was sponsored by Thomson Viper, makers of the Viper Filmstream digital camera. The objective of the symposium was to present viewers with the latest in digital projection, digital production and digital intermediate technologies. The goal for backers of digital projection is for it to be as good as a 35mm answer print (straight off the original negative) or better. According to Charles Swartz, Executive Director and CEO of the ETC, he projects that film and digital will continue to enhance each other in the next ten years. A few things were factored into the demonstration that day. A brand new camera test, called "The Mini Movie," or the "DCI & ASC Film To Digital StEM Test," was filmed on the Universal Studios back lot (Hollywood) by numerous cinematographers, including Allen Davieu, ASC. Scenes of a wedding banquet, as suggested by cinematographer Dante Spinotti, ASC, were shot in Super 35, 35mm anamorphic and in 65mm. Those elements were then scanned uncompressed at 4K resolution for digital projection. Projection for the test would come from a 35mm/70mm projector and a new Christy 2K projector with Texas Instruments DLP technology. There was supposed to be a demonstration of brand new 4k projection, but it didn't occur due to technical difficulties. The demonstration was shown in split screen. 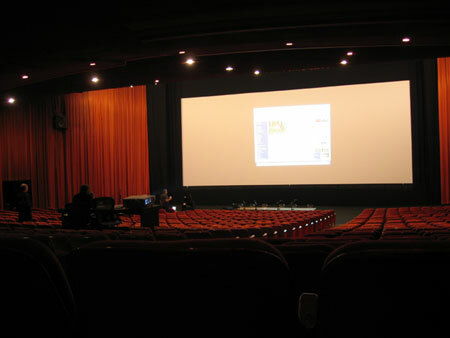 The 35mm 'scope footage, an answer print, was shown on the left side of the screen, and 2K digital projection was shown on the right. The scenes were identical. As with good 35mm prints, the color and fidelity was pristine. But what was surprising and pleasing was the digital projection's high quality. Compared to the 35mm print, it was almost identical. There, of course, was no flicker and the imagery was bright. Color was slightly lighter than on the 35mm print. There was a little less sharpness or snap to the images, and the overall digital picture had more contrast. But aside from those minor quibbles, the digital projection shown that day was perfectly acceptable. A bit later on, 2K projection on the full width of the screen was shown from the 65mm, Super 35 and 'scope elements. All of the footage was well shown in 2K. The 65mm footage, as to be expected, was the cleanest of the three. The 35mm versions were solid and bright. All of the footage for "The Mini Movie" tested the extremes of light, dark shadows, rain, jagged brick streets, and colors on how film and digital projection reacts to them. In the opening "scene," confetti flies from the rooftops. The confetti fell without any jagged lines or problems in digital projection. Later, the bride, in her wedding dress, is shown walking with her groom. The extremes of white color and black color were rendered nearly-perfect in 2K projection. But the true comparison test came with the 70mm footage directly from the 65mm negative. 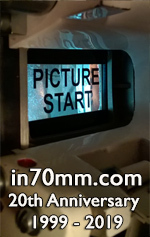 Up in the projection booth, projectionist Paul Rayton spooled up a 70mm version of "The Mini Movie." The 2K version of the film shows that digital projection has improved since the first generation of DLP projectors arrived in 1999. And I'm sure that the 4K version of the test film looks even better. But 70mm trumps 35mm and digital. The format is simply gorgeous to look at on the big screen with above normal light. Color is natural. There is a "snap" to the imagery. The 70mm print was so clear that one of the panelists told the audience to look at rain drops in the far distance of the frame. Each drop coming down fast from a building could clearly be seen. It makes one wonder why 70mm was ever abandoned. There is viability in utilizing all of these formats for commercial and large format filmmaking. As demonstrated by representatives from Olympus, their 8K High Definition camera is very good in shooting clean footage. A digital version (which was supposed to be shown in 4K) was shown, as well as a 70mm version of the Olympus test film. Various shots of nature, buildings and a boat racing through water were shown. In the digital version, the footage was very nice and solid. Yet, once again, the 70mm version of this same test was outstanding. There were slight "jaggies" on a tiled rooftop in one scene, but they weren't too distracting. The 70mm print is simply superior to 35mm or a digitally projected version of this test. Since the 4K wasn't available for this day, it would be interesting to compare the 4K version of this same footage to the 70mm print. It should be noted that 70mm can handle almost any smaller gauge format analog or digital with ease and stunning results. Three other camera manufacturers, Dalsa, Sony and Thompson, were on-hand to demonstrate their test footage from new HD cameras. The Dalsa footage was not available that day due to an error in shipping. But the Viper Filmstream camera footage was, as well as the Sony test footage. The Viper is capable of shooting uncompressed footage via 3 CCD chips that combine for a total of 9.2 million megapixels. Footage, uncompressed, can be saved on a portable hard drive array, or compressed on digital tape. So far, high profile directors David Fincher, Michael Mann and Randal Kleiser have used the camera. Fincher has been very pleased with its quickness. He has been able to edit his footage on the set, according to representatives from Thompson. Mann shot approximately 60% of "Collateral" with the Viper. And Kleiser has used it on his rendition of "Little Red Riding Hood." Test footage, which was also blown-up to 15-perf 70mm for the LFCA Conference that week, was shown digitally during the symposium. The way the footage is seen on the set isn't the way it will turn out later. Color is corrected in post. The result is a pleasing picture on par with 35mm. Where the Viper really shines is in its night filming capability. Lights on signs from helicopter shots around Los Angeles and Hollywood are truly sharp. Dark details are well rendered and streets under street lights are clear to see. With some 35mm productions that have night scenes, lights can appear blurry and dark details can have too much contrast. Here is an example of the promise that digital can deliver some exceptional images. The Sony footage was good. 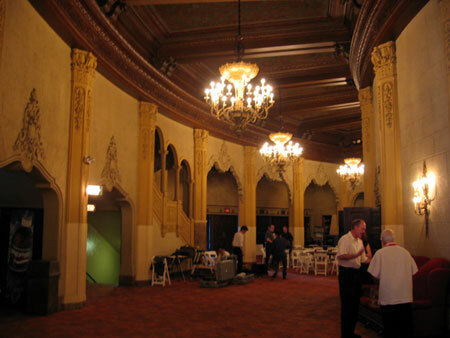 Some of the footage was shot at the Sony Pictures Studios and showed two swing dancers performing a routine. Later in the test, the Sony HD 24p cameras were taken underwater. Two different cameras were used, both a generation apart. The newer camera revealed better detail and sharpness. How does this digital technology affect the large format industry? Digital intermediates can give large format filmmakers an opportunity to make adjustments in color and image manipulation "on the fly." In regards to digital cameras for use in large format, Thompson and Sony have mentioned before that the smaller cameras can be used to assist large format filmmakers. For instance, the digital cameras can be used in small spaces where a large format camera can't fit. The basis of the symposium seemed to focus on how these tools can be used within all forms of filmmaking. Digital cinema tools, from the camera to projection, has improved to a point where seeing a movie digitally is perfectly acceptable. Digital projection, to these eyes, has always had a fatiguing effect. It's like staring at a computer monitor for two hours at a time. But the current demonstration of 2K projection is an improvement over the previous generation of digital projectors. Though the tests were done in short sequences, the projection quality seemed less fatiguing to my eyes. Should digital cinematography and digital projection replace film? Should audiences and the film industry embrace the hype of digital cinema? The market will tell. So far, digital cinema has received little support from most of the exhibition industry. Audiences haven't seemed to clamor for the format. But the goal of the ETC and its manufactures, it seemed, was to compare and contrast the qualities of each format. No one in attendance uttered the words, "Film is dead." Most speakers seemed to emphasize that film and digital cinema can work together. The scientists of motion picture technology continue to test the viability of digital cinema at the ETC. From the days of talkies through modern digital projection, technical innovation has spanned generations here. The ghosts of film's past are no doubt taking a seat and watching future developments unfold inside of the old Hollywood Pacific.